Kit Leeger was Rotarian of the Day and chose to feature National Vitamin C Day. She brought with her several examples of vitamin C-rich foods, including peppers, kiwis and lemons. For our vocational series, Kit talked about her career as an architect. She explained that architects facilitate communications between those who have needs (e.g., clients, users, the public) and those who will make the spaces (e.g., builders and contractors) and also provide professional services that draw on their design and technical expertise to make a client’s desires into reality. To become an architect, Kit had to refine her drawing skills while learning how to define and solve problems, and prioritize needs. An architecture degree requires 5 years of study, and to become an independent architect Kit undertook nearly 6,000 hours of interning and a licensing examination (hers was a 4 day test during which she had to design a building). She also must do continuing education to keep up to date with current trends. Being an architect in Del Mar brings special challenges to comply with Del Mar’s emphasis on neighborliness. Designs are considered by the city’s Citizens’ Participation Program (CPP) that gives immediate neighbors a voice in proposed projects, and can also be submitted to the Design Review Board and the Planning Commission. Depending on the project, the California Coastal Commission can be involved, and sometimes voter approval is needed. 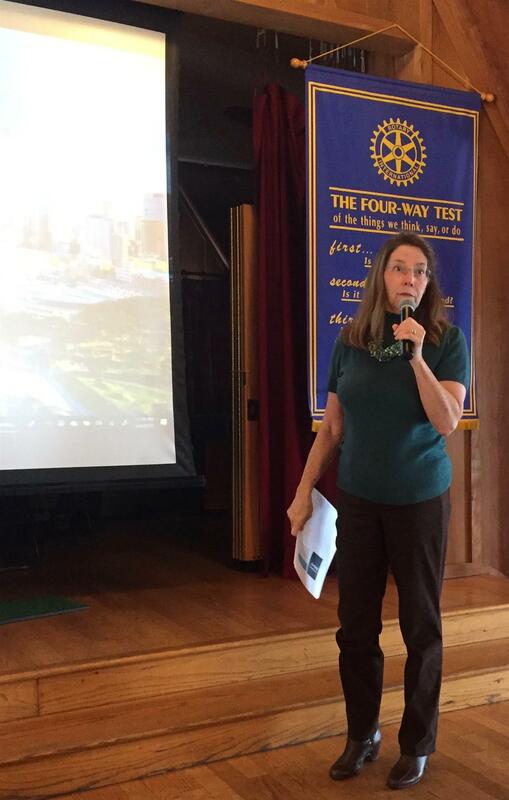 Kit then gave an update on the St. Peter’s project she’s leading. The new additions will provide an elevator, classrooms, a music room and ADA-compliant bathroom. The project is on track for completion within the next 18 months. Kit called back to the Object of Rotary, and in particular how architecture can contribute to advancement of understanding and good will.